English Institute of Sport (EIS) Lead Physiotherapist Ian Gatt explains how you can prevent shin splints caused by training. Q: I’ve started boxing and all of the training and running that goes with it. I’ve been suffering with bad shins after running and skipping. What can I do to try to prevent it? ‘Shin splints’ is sometimes known as Medial Tibial Stress Syndrome (MTSS), and is a generic term referring to pain along, or just behind, the shins. It is commonly associated with sports that create impact in the legs (e.g. running or gymnastics). In boxing, it is uncommon to get shin splints from the boxing training, unless one is fairly de-conditioned prior to activity. It is usually the running and skipping that cause this, due to the repetitive nature of these activities. Footwear: Make sure you have good shoes for running and otherwise appropriate shoes for boxing/skipping. One shoe for all activities is not suggested. Make sure your footwear has a good amount of ‘shock absorption’ in order to decrease the load on your legs. Flexibility: If your calves (both Gastrocnemius and Soleus muscles) are tight you will end up putting more stress on the front part of your leg (i.e: the shin area). You therefore need to stretch regularly – about 20 seconds for each muscle. If you are quite inflexible you might consider a heel raise in your shoe during these activities until you get better flexibility. Self Treatment: You can self-treat the problem area by self massaging the area of pain. Avoid doing this during high pain responses, but rather in between activities. Post session, if there is pain I would advise ice on the area. 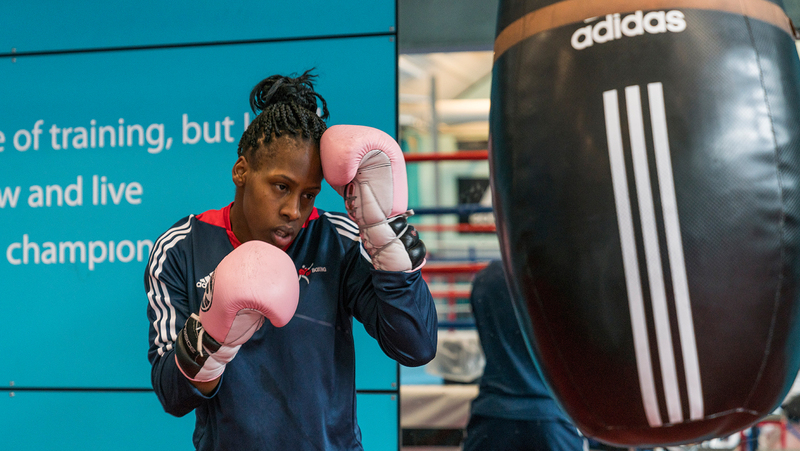 Ian Gatt works at the EIS as Lead Physiotherapist for the GB Boxing programme. His role involves working with the boxers to monitor their health and fitness status, predominately through injury management. To do this, he works closely with the GB coaches and support staff across a range of areas.The EIS has one of the biggest strength & conditioning teams in the world, working across Olympic and Paralympic Summer and Winter sports, English Sports and Professional sport, sharing expertise and experience across Sport.